Examples, solutions, videos that will explain how to convert mixed numbers to fractions and vice versa. 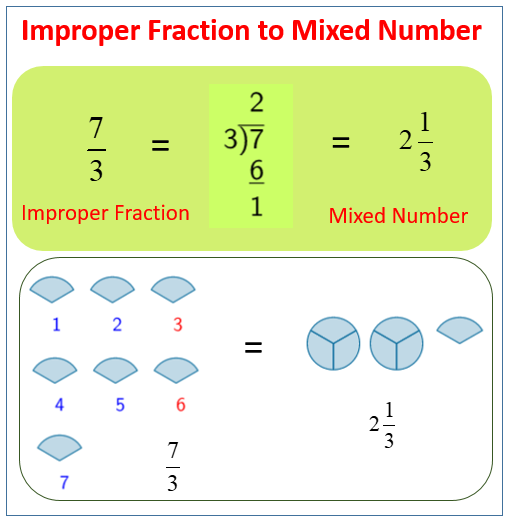 The following diagrams show how to convert a mixed number to an improper fraction. Scroll down the page for more examples and solutions. 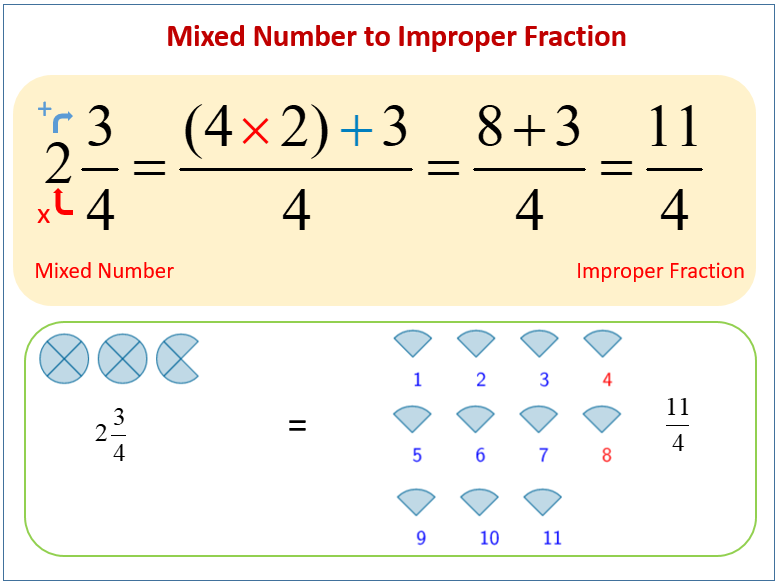 The following diagrams show how to convert an improper fraction to a mixed number. Scroll down the page for more examples and solutions. Converting mixed numbers to improper fractions and improper fractions to mixed numbers. Example: a) Convert to improper fraction. b) Convert to mixed number.